Are you a loan officer or consumer? Request Your 203k Consultation Now. Click here. 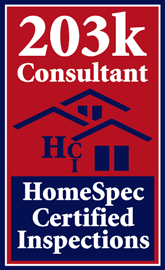 How can the 203K Home Loan Program work for you? The 203K home loan program allows consumers more flexibility and choice in their home loan. It’s a program that’s backed by the US Government under HUD. The program allows you, the consumer, to combine a home loan with both the purchase price of the property and any renovation costs needed or desired to bring the home up in valve and/or into a desired livable condition. Two types of 203K loans exist. The Streamlined as known as Limited 203K and Standard 203K. The Streamline or Limited Program may only be used for minor remodeling and non-structural repairs. The Limited 203(k) does not require the use of a 203(k) Consultant, but a Consultant is advised to help service, guide and streamline the process. The total rehabilitation cost must not exceed $35,000. There is no minimum rehabilitation cost. The Standard 203K Mortgage may be used for remodeling and repairs. There is a minimum repair cost of $5,000 and the use of a 203(k) Consultant is required. The 203K loan is not for blighted neighborhoods only. Although it functions well in those neighborhoods it can be used on most any home in most any neighborhood. The Florida max loan funding valve as of April 2016 for Charlotte County Florida, single family home, $217,050, duplex (yes, you can do a duplex and even a tri or quad plex) $347,000. In Sarasota County for the same time is $285,000 and $365,000 respectively. Condos and manufactured home can qualify. Mobile homes also. Qualification for the loan be as little as a 630 credit score depending on the lender. Additionally, one can refinance your existing loan with a 203K loan and include those much needed home repairs such as a new roof, HVAC system, electrical systems and even remodeling like an updated kitchen or bathroom. Want to move an existing home to a new property that has an existing foundation? That can also be done. EEM or Emergency Efficient Mortgages can be combined with your 203K mortgage to allow you to add insulation, upgraded windows and doors, solar water heaters and other energy efficient add-on’s to your home to make it more comfortable and less expensive to operate. Are you a teacher, firefighter, policeman or other service related field? There is a 203K program designed to allow you to purchase of a home for 50% off the listed price. It’s called the Good Neighbor Next Door Program, (GNDP). See this link for details. 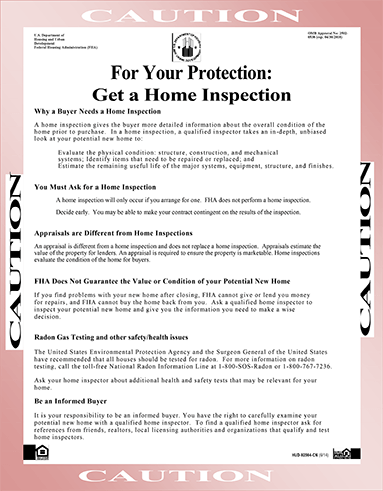 The government recommends home buyers to get a home inspection. Click on the document below to learn more.